Classic Sports Cars by Derek Avery (1994). A handbook and a work of reference, this highly illustrated publication is dedicated to those motor mechanics and engineering geniuses. 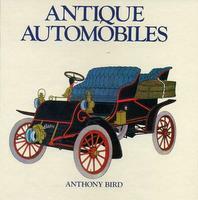 Antique Automobiles by Anthony Bird (1984). A colourful history of the car from the invention of the first model steam carriage in the late 17th century until the beginning of World War I. Classic Cars From Around The World by Michael Bowler (2001). Includes AC Cobra, Alfa Romeo, Aston Martin, BMW, Ferrari, Lotus, Ford, Jaguar, Maserati, Morgan, Porsche, TVR and more. 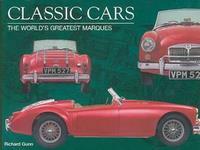 Cars Classic Collection: A World Of Cars In Two Great Volumes by Martin Buckley (1999). A marque-by-marque guide to the most important and significant models made between 1945 and 1975, with illustrations of every car augmented by authoritative and comprehensive text. Encyclopedia Of Classic Cars: A Celebration Of The Motorcar From 1945 To 1975 by Martin Buckley (1997). The motor car has had a firm grip on our collective imagination since the first prototypes were designed over 100 years ago. Highlighting the years 1945-1975, this book covers the history and development of the car, as well as its place in popular culture. Classic Cars: The Golden Years by Martin Buckley (2000) covers the history of the development of the automobile, discussing milestone models and the leading designers, engineers, and manufacturers who helped shape such familiar classics as the Cadillac, Rolls Royce Silver Shadow and more...the Ford Thunderbird. Many contemporary photographs cover the romantic age of the motor car with the social and historical context. It also examines a history of the evolution of the automobile, including special features on design and technological advances. Veteran And Vintage Cars by David Burgess Wise (1972) describes the development of the motor car from the crude steam carriages of the 18th century right up to the end of the Vintage period at the beginning of the 1930s. Classic Cars by Piero Casucci (1981). A look at the great classic cars of the twentieth century. Classic Sport Cars: The Postwar Years by Eric Dymock (1981). Dymock prefaces his book with his definition of what a sports car is and is not, considers sports car development up to WWII, and goes on to describe the post war evolution that has given us the sports car of today. Then he gives the postwar history of over 60 makes, information on personalities involved and technical aspects. Personal appreciation of the cars qualities as well as their less attractive points. The makes are classified as The Grand Marques, Lesser Luminaries, and Minor Classics. Classic Cars: The World's Greatest Marques by Richard Gunn (2003) is a commemoration and a history of some of the most exhilarating, exciting and evocative vehicles from the last 100 years of motoring. Above all, it celebrates classic cars, their inestimable magic, and the joy they have brought to millions of enthusiasts. Classic Cars by Roger Hicks (1987) portrays the great names in motoring, the classics. Here are the renowned Porsches; the American Classics; the opulent Mercedes; Jaguar and the unforgettable E-type; the famed blood-red Ferrari, and the sheer quality of Rolls-Royce, to many a sure sign that one has 'arrived' a symbol of success for all to see. Great Classic Cars Of The World by Hans Isenberg (1993). A photographic presentation of carefully preserved automobiles of past times from the veterans of 1904-1918 to the glittering chrome-laden creations of the postwar years. Isenberg is a photographic journalist specializing in motor sport. Classic Cars by Robert Jackson (1973) discusses luxurious, expensive, custom-made automobiles built between 1925 and 1942. Includes the Bugatti, Bentley, Alfa-Romeo, Duesenberg, Cord, Stutz and others. Classic Sports Cars by Richard Knudson (1979) introduces various classic European and American sports cars and discusses their development and importance in automotive history. 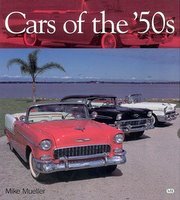 Cars Of The '50s by Mike Mueller (2002). The fabulous fifties: the decade of Elvis, James Dean and tailfins. It was also one of the most innovative periods for American car manufactures. The '57 Chevy, the '55 Thunderbird, the Cadillac Eldorado, the Nash Airflyte and many more, all stand out as some of the most distinctive and recognizable cars ever built. 50 Years Of Classic Sports Cars by Bill Reynolds (1998). Focusing primarily on prestigious postwar Ferraris, Porsches, Jaguars, Corvettes and Mustangs, the book also includes several other great makes and models. The author examines how economic climates have stimulated the public's demand for speed. The Encyclopedia Of The World's Classic Cars by Graham Robson (1982). Featuring the history and technical information of over 260 of the greatest cars in the world. Classic Sports Cars: An Exciting Round-Up Of The World's Most Exhilarating Cars by Graham Robson (1986) describes more than fifty popular models of European, British and American sports cars and explains the reasons for each one's success. Car Collector's Handbook: A Comprehensive Guide To Collecting Rare And Historic Automobiles by Peter Sessler (1992) includes tips on buying, selling, financing, insurance, restoration, maintenance, shows and auctions. Appendices include insurance companies, appraisers, title bureaus and car clubs. 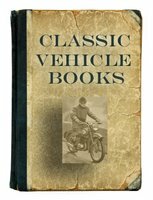 Vintage And Classic Cars by Ralph Stein (1977) discusses technical features, recounts the history of each car and describes with skill and authority the pleasures and problems of driving the classics. 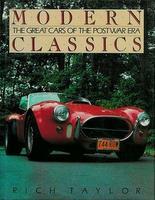 Modern Classics The Great Cars Of The Postwar Era by Rich Taylor (1988). A look at 80 post-World War II sports cars- American, British and European, from Kurtis and Crosley to Corvette and Cobra, from MG and Morgan to Jaguar and Aston Martin, from Cisitalia and Delahaye to Mercedes and Ferrari. The Restoration And Preservation Of Vintage & Classic Cars by Jonathan Wood (1977) is a practical guide for the classic car enthusiast on how to fix up and maintain your vehicle. It is mostly aimed at a British (or British car-buying) audience. 50 Years Of Classic Cars: A Celebration Of The World's Greatest Motor Cars by Jonathan Wood (1998) conjures up the great names of modern motoring history. Including 129 motor cars in total, every entry features a detailed specification. Classic Cars Masterpieces Author Unknown (1996). This book is a collection of 30 of the most famous and outstanding motor cars. It features the best cars from all the great manufacturing companies of the world, such as Ferrari, Jaguar, Chevrolet, Lamborghini and Porsche. Each model is examined in great detail to discover what makes it great. 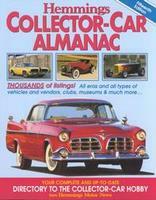 2008 Collector Car Price Guide Author Unknown (2007). This reference is for the hard-core car market watcher and the everyman car guy who wants to know what the beater car in the drive way is worth, if he ever decides to sell it. Prices in this must-have reference reflect the latest values, in up to six grades of condition, from the esteemed Old Cars Price Guide database. With 250,000 listings for domestic cars and light trucks, and various import vehicles manufactured between 1901 and 2000, this is the most thorough price guide on the market. 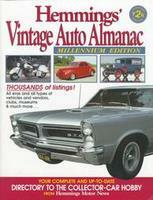 Hemmings Vintage Auto Almanac Author Unknown (1999). The easy-to-use, all-new edition of Hemmings' Vintage Auto Almanac puts thousands of hobby specialists in touch with more than 3,000 parts suppliers, salvage yards, restoration shops, old-car dealers, appraisers and more.